Starting a business can be a terrifying prospect. One of the most daunting aspects is financial. How can I afford to start a business? Logos, websites, content, videos, hiring people and all the other incidental costs before you’ve even got the business off the ground. It all costs money. Usually, your personal money. And that’s before you’ve even started to think about paying yourself. But — fret not. If you’ve read the Lean Start Up, or know about the concept of the MVP (minimum viable product), you’re aware you don’t necessarily have to spend a fortune to get the first version of your product or service out before shipping out to customers. I’ve been running my business for two years now. 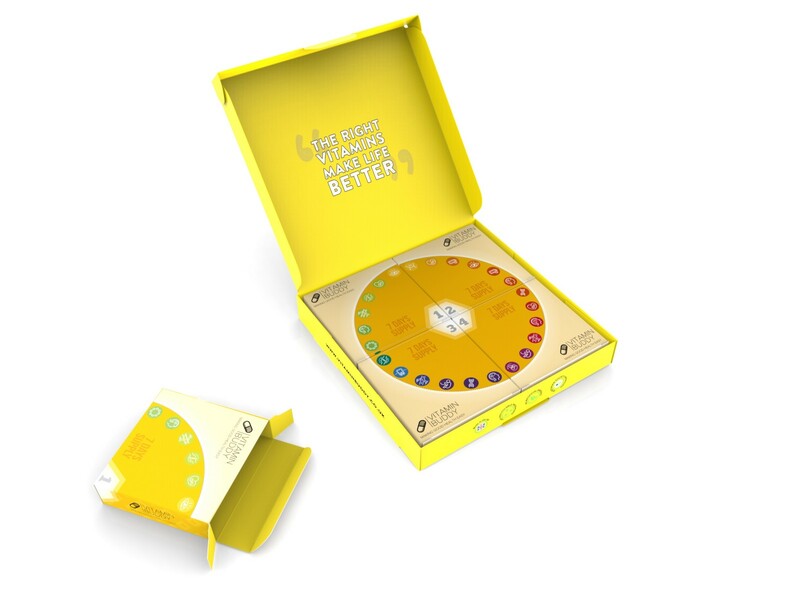 Vitamin Buddy provides personalised vitamin subscriptions, creating bespoke packages based on each customers’ specific lifestyle and health goals. In the beginning I used as many tools and resources on the web as possible to minimise my expenditure. I’m finding now however that this is actually an incredibly useful skill that I’ve developed almost unconsciously. The ability to source online tools and freelancers to minimise my ongoing costs. Here are some of the best resources I’ve found, and how they’ve helped me minimise my outgoings. What does it do: Creates logos based on certain variables — you pick your industry, a few fonts you like, a strap-line, and then it keeps generating logos until you find one you like. What is it: Freelancer is an amazing platform where you can connect with all sorts of experts — web designers, packaging design experts, graphic designers, email content experts… all sorts. I created a pretty complex brief for the design I needed and I had a number of specialists pitch to me with a quote, and with a catalogue of work they had already completed. I was able to see their reviews, and pick based on this. The service was excellent, and I was able to request an unlimited number of revisions until I found the perfect design. Also use: I’ve also used fiverr.com for a number of other projects requiring a freelancer, e.g. for designing a number of infographics, or doing market research. What is it: Probably my favourite tool at the moment. I’ve used this to create 8 short videos (15s) that I’m going to use for advertising and social media. 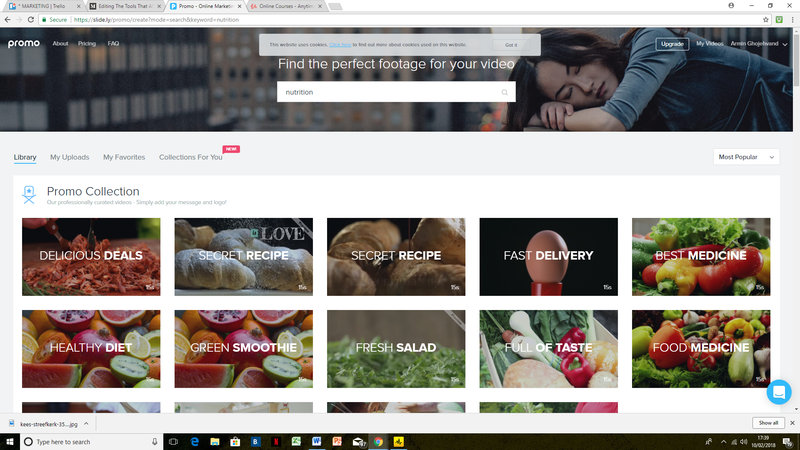 It’s a super intuitive and easy platform to use that lets you pick from about 3 million stock footage videos, and add music and text graphics without having to pay any additional licensing fees. You can even add your own music and footage as well. What is it: Strikingly is a great platform that helps you build your own site. It has a lot of functionality that you can add without any technical or coding knowledge. It really is excellent, and not only does it make building websites easy, but it makes building beautiful websites easy. The free version means you have to use the strikingly prefix in the url (e.g. www.yourwebsite.strikingly.com) but for only £15 or so each month you can use the pro version which provides you with your own unique url, as well as some added functionality. Also use: Wix and Squarespace. I don’t have experience of using Wix. I found Squarespace pretty good but I think it’s slightly less intuitive to use than Strikingly. 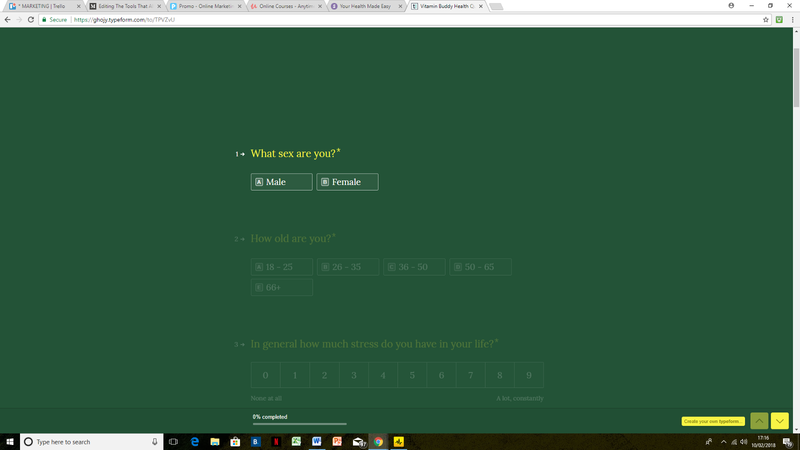 What it is: Typeform allows you to build questionnaires that are fun to use and visually appealing. You can design it in any way you like, add photos, and the paid version even creates logic tree functionality. 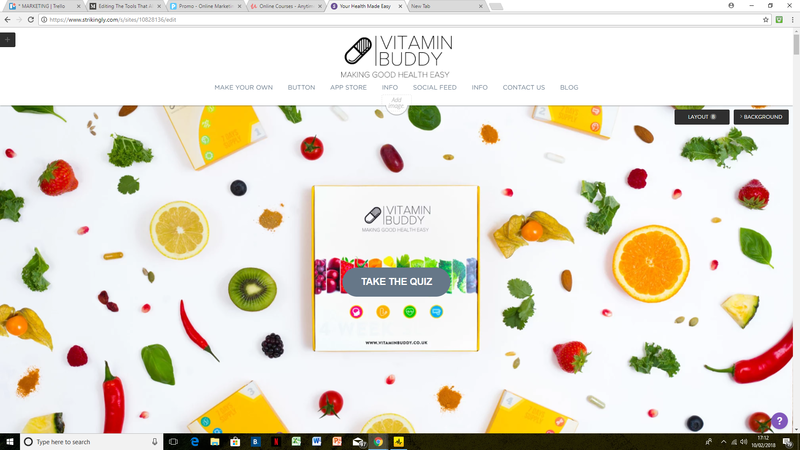 I integrated the typeform below into the first version of the Vitamin Buddy website, and when people filled the quiz I would manually reply to each one with their vitamin recommendations. A great way to start, and very professional looking and easy to use. I’ve also used it for customer research before I launched Vitamin Buddy as well as getting feedback from existing customers. Typical costs: You can do this for free with a lot of legwork (approaching each customer for feedback) or you can spend thousands upon thousands on extensive customer research. 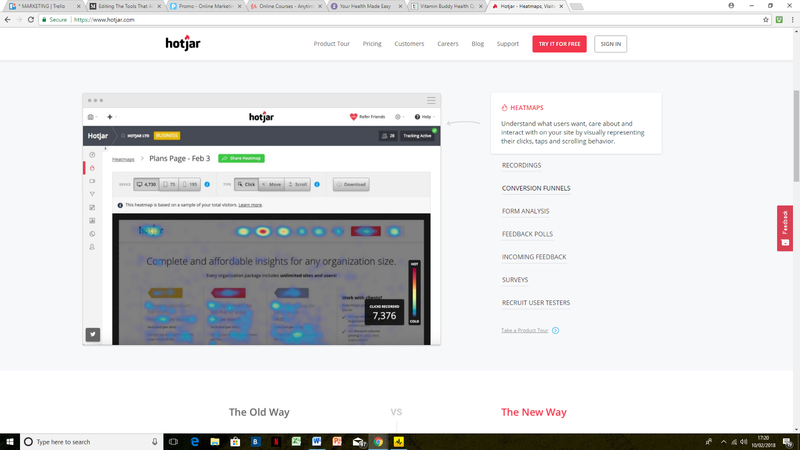 What is it: Hotjar is an awesome tool that lets you follow a customers journey. You can physically see what pages your site visitor views, how long they spend on each page, where they leave the site, and where they click when they’re on your page. A really great way to understand the customer journey, and where and why there are drop offs. What is it: Unsplash is an online directory full of royalty free images that you can use freely. It’s not just standard stock imagery, but genuinely amazing photography of all sorts — food, travel, people, relationships, cities and many, many, many other themes. 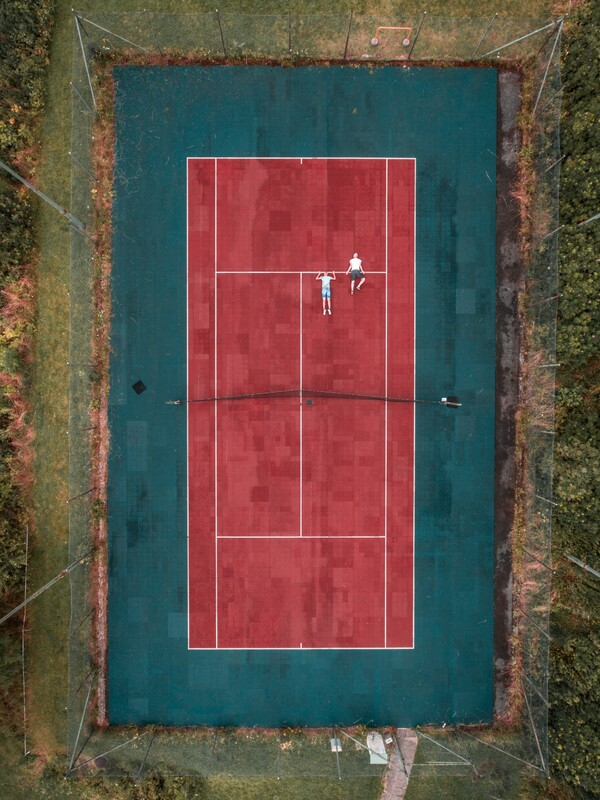 The great thing is that it provides a platform for photographers to share their work, which means that the imagery provided is much better than you average stock photo. 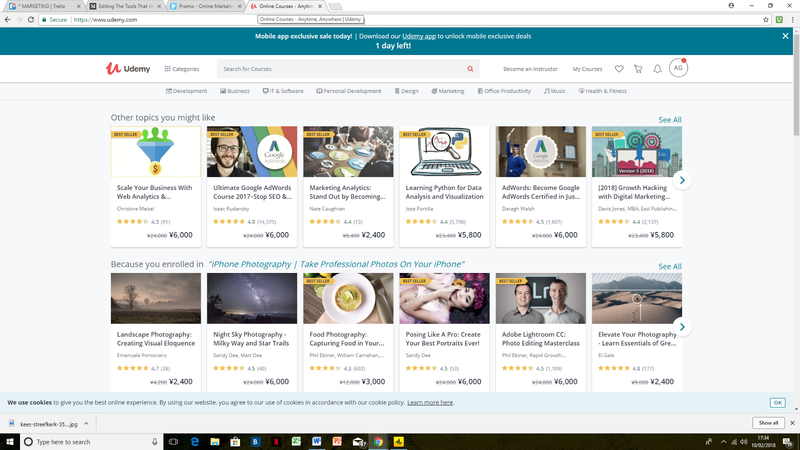 What is it: Udemy is an online platform that provides endless courses about valuable topics for running your own business. I’ve learnt, in-depth, about Facebook advertising at a fraction of the cost I’ve seen advertised elsewhere. I’ve just finished an extensive Google Analytics course that I genuinely feel has empowered me to run my business better. And there’s lots more — from software, project management, design, personal development, marketing and lots more. If you’re an expert in your own field you can even create your own course and put it on Udemy. The tools above have been particularly useful for me — especially at the start of my journey. They’ve also allowed me to develop into somewhat of a jack of all trades and learn how to wear the multiple hats that being a founder requires. If you’d like to hear more about my personal journey to entrepreneurship check out my previous medium story here. Otherwise, I’d love to hear about the tools that you’ve used that have helped you and your business. Thanks for sharing. Armin Ghojehvand is the founder of Vitamin Buddy. For more insightful pieces into entrepreneurship head to his medium platform here.